[description] => The actor will be seen in director KM Chaitanya's next, Amma I Love You. 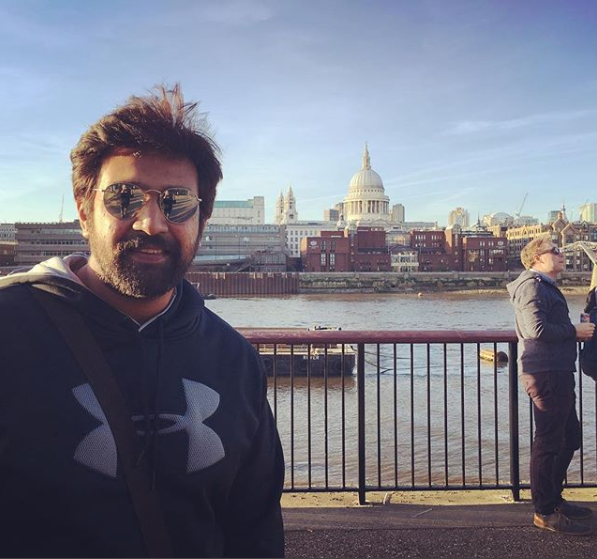 [articleBody] => Chiranjeevi Sarja, who got married to Meghana Raj this year, is all set, to begin with, his first film post marriage. The actor will be seen in director KM Chaitanya's next, Amma I Love You. Chiranjeevi Sarja is going to play a very unique and never seen role on the big screen for which he needed a lot of courage. “It takes a lot of courage to play a beggar and that too convincingly enough for the audience. Chai was particular that we shoot at actual locations, so I have sat by the roadside in the hot sun and begged. I have even walked up to pedestrians and motorists to ask for alms. Thankfully, a lot of these sequences were long-distance shots, so even though people recognised me and wondered why I was there, we were still able to get our shot,” adds Chiru Sarja. Meanwhile, Chiranjeevi Sarja is currently wrapping up the shooting of his other films. The actor will then head on a holiday with wife Meghana before beginning his next films. The actor will be seen in director KM Chaitanya's next, Amma I Love You. Chiranjeevi Sarja, who got married to Meghana Raj this year, is all set, to begin with, his first film post marriage. The actor will be seen in director KM Chaitanya’s next, Amma I Love You. Chiranjeevi Sarja is going to play a very unique and never seen role on the big screen for which he needed a lot of courage.